Liverpool prepare to face Steve Bruce's Hull City Tigers on Sunday as the Reds look to tame the potential roar of the promoted side. The Reds were last seen in a very intense derby against Everton with Daniel Sturridge sealing a draw for Brendan's boys, unfortunately for Liverpool it looks like they will be without Sturridge for this one as he is forced to sit out with an ankle injury. In other news, Liverpool are still without Jose Enrique and it is expected that Brendan Rodgers will start Jon Flanagan again in place. Other than that there are no new injury worries for the Reds but they will definitely feel the absence of Daniel Sturridge. For Hull they are without Paul McShane and they also have doubts hanging over James Chester and Curtis Davies. Steve Bruce however will have a relatively strong side to choose from. It was an electric Merseyside derby on Saturday as both the Blue and Red sides of Liverpool found the back of the net on three occasions. An end to end game with neither side intent on defending a lead, it was a shining example for football in the Premier League from two of its most famous clubs. Liverpool were forced to make some changes to their line up after the fitness of Daniel Sturridge was called into question and Jose Enrique had to be left out. Jon Flanagan got a big chance to impress in the Liverpool defence whilst for Everton they had youngster Barkley plying his trade. 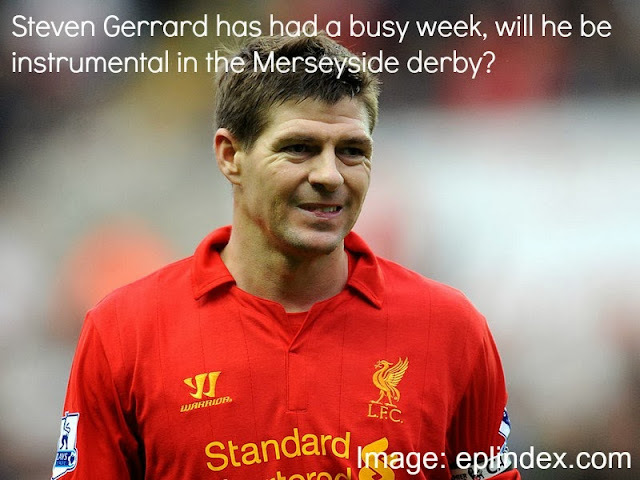 I've started several match previews here on The Liver Bird this season with something along the lines of "the game started in a lively fashion" and it was certainly no different for this fixture! Finally! Another international break is over and we can breathe a sigh of relief after minimal damage injury wise occurred for the Reds. Liverpool have a huge game this weekend making the short trip across Stanley Park to Goodison where they will face Roberto Martinez's Everton. Both sides have had a cracking start to the season and it should be an exciting 90 minutes. For Liverpool their main injury concern is with Iago Aspas who is out until early December. The Reds have doubts hanging over the fitness of Kolo Toure who suffered a muscle injury and there are also still questions on Gerrard's ability to play. The captain featured for England despite having a niggle and it is assumed he will make the start against rivals Everton. 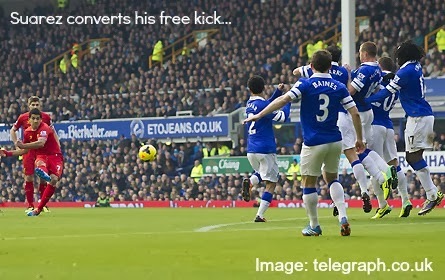 The Toffees are without Alcaraz and they also have doubts hanging over Gibson, Vellios and Kone. The majority of Martinez's prefered XI though are available and so things could be worse for the blue half of Merseyside. 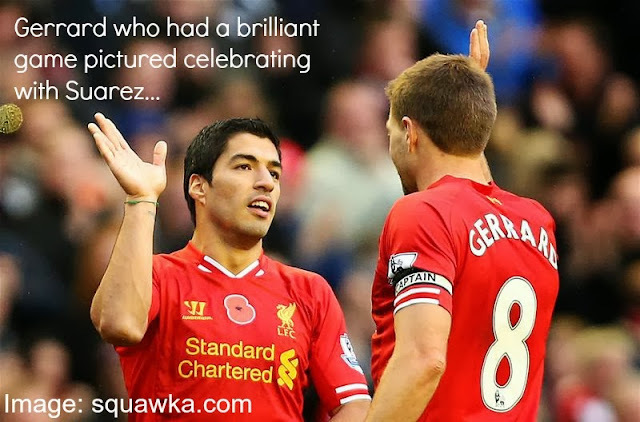 Reds' fans certainly fell in love with Liverpool's performance on Saturday as they confidently beat Fulham putting four goals past Martin Jol's side. Amorebieta began the affair, with an own goal just after 20 minutes. 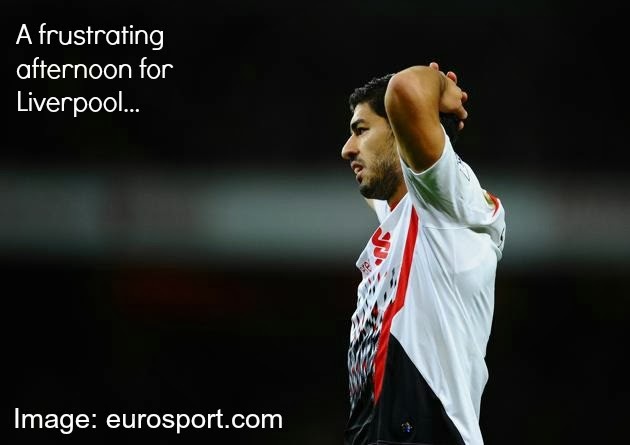 Liverpool then followed up with a goal from Martin Skrtel and two from Luis Suarez. Fulham looked very dismal in this fixture and made it easier for Liverpool to put on a fantastic show. Fulham began with as strong a team they could whilst Liverpool had made some changes that saw Daniel Agger reintroduced into the side. 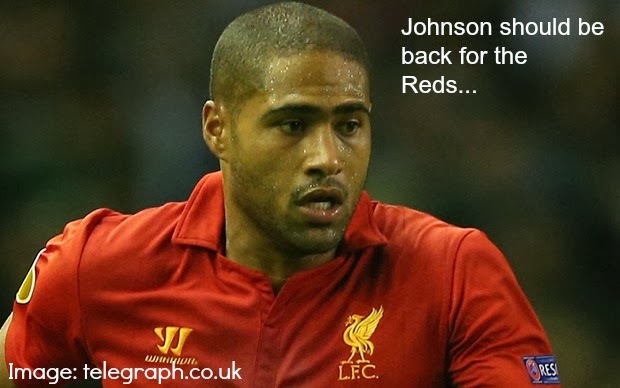 Glen Johnson was back too but there was no start for Jose Enrique instead Brendan Rodgers opted for Cissokho. Liverpool welcome Martin Jol's Fulham to Anfield on Saturday as the Reds look to get back on track after their loss to Arsenal at the Emirates. Brendan Rodgers welcomed Philippe Coutinho back on to the bench for the last fixture but it is hoped the starlet will start from the whistle this time out. 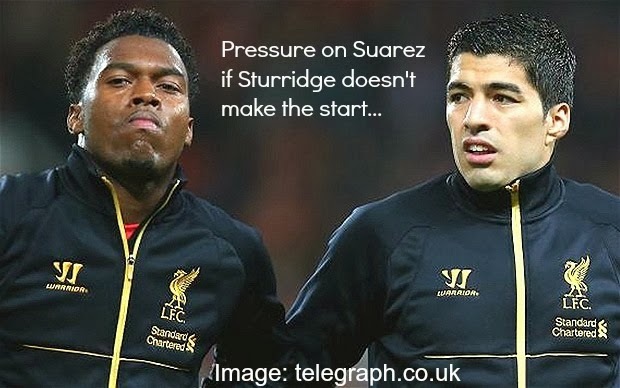 Liverpool need all the attacking force they have in order to continue to apply pressure on the teams around them. Still missing for Liverpool are Iago Aspas and of course Coates, the positive news though is that both Glen Johnson and Jose Enrique should be able to start. This is a massive plus I feel because in my opinion three at the back works a hell of a lot better with those two as wing backs. For Fulham they are without Rodallega, Briggs and there is also a doubt hanging over Brede Hangeland. Also out for the Cottagers is Sascha Reither who starts a ban after a stamp on Manchester United's Januzaj. Liverpool fell to a 2-0 defeat at the Emirates on Saturday as they Reds failed to make a botched up 3-5-2 formation work after a late drop out from Glen Johnson forced Jon Flanagan to take his place. The youngster along with Aly Cissokho struggled to deal with the strength of Arsenal down the wings and the eventual result was a poor one for the Reds. A change in formation in the second half for Liverpool still didn't help matters as our prolific forwards failed to find the net this time out. It's a strange game to comment on because we actually didn't play that bad but then neither did we play well. Arsenal were extremely good and proved they deserve to be top of the pile at the moment but when you look at the goals conceded Liverpool couldn't really have done much about them, especially the latter.